Resources: Scan[s] from MT, stocks from mayang & sxc.hu and texture from DA!. Inspiration: We're in this together now [NIN]. First time "drawing" something, in this case, the smoke behind them. Dont ask why Destroy is on the back fighting with Freedom while Stellar is on the front, is part of the GSD magic. Always want to make a StellarXShinn wall but cant find a scan or an idea until now. There is a version with Gundams, i'll update with the link when i have the time. ;) Love the colours, background, and of course the scan. Very beautiful! I love the background! 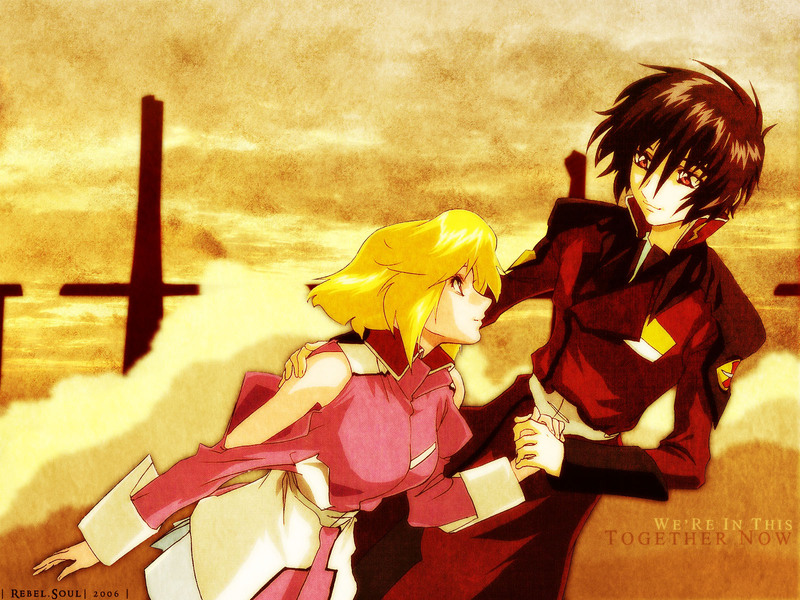 Shinn and Stellar are great too. ^^ Great work, you did very well. wow, me encanta la armonia de los colores, muy buen trabajo! It was a thin hero and heroine of a shadow.